Have you ever fallen victim to poor power quality, leaving you with decreased efficiency and higher costs? Every day we encounter poor power factor caused by inductive loads. This often leads to a higher current draw in AC circuits, which can be devastating on machinery and raise costs. So how do you correct it? Join us as break down the common causes, effects and solutions to poor power quality, as it relates to low power factor. In this webinar, we will provide several solutions to this common issue and teach you the proven benefits of improved power factor. 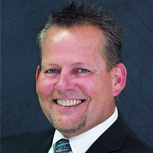 Bio: Jeff Rainey currently works as a product specialist within Yokogawa’s Meters & Instruments Division. Jeff has been working with Yokogawa for the past 26 years where he has served in a variety of roles. He has a wide range of experience in learning products, application engineering, product support, training, product marketing, product management and sales. 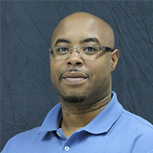 Bio: Andre Malcolm is a product manager based in Newnan, GA. He has 20 years of experience with Yokogawa with 11 of the years being extensively involved with the meters and portable test instruments division. He has technical experience in general electrical test equipment and analog panel meters. In his role with the meters and instruments division Andre has been responsible for technical support, customer support, product marketing and sales.